WE Europe - WE Pistol Thread Adapter is a thread adaptor which allows the attachment of 14mm CCW Silencers and Suppressors to WE Europe Pistols. 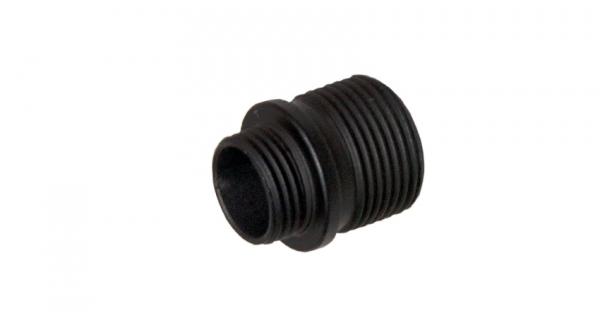 The adaptor is constructed from Alloy. This is the perfect part for any Airsoft Skirmisher who wants to lower the forward noise profile of their weapon, or for those who just love the tactical look of suppressors. Fits all WE Europe Pistols with threaded outer barrel.